"We love our [Craftsman] 36" exterior door, nice to have easy maintenance of fiberglass with the wood look to match our 1920's home. And a great value for only $499 at Home Depot!" -- Thanks, Jen! We are so glad you're enjoying it! Spring is here.... What better way to watch your yard come to life in full bloom, than through a Feather River patio door! Another reason our customers are the best! "Thank you so much - it's a great looking door - even after 10 years... I always get compliments - especially for the 'stained-glass' window effect in the upper panel." -- Thank you for the kind words, Lindy! We are so glad that our product continues to please you! "Thank you very much for your outstanding customer support. I also appreciate the color touch up pen that was included." -- Anytime, Rick! Glad we could help! Celebrate St. Patrick's Day all week with our Pre-Painted green doors! Green, green, everywhere! (Or at least on our Feather River doors)! 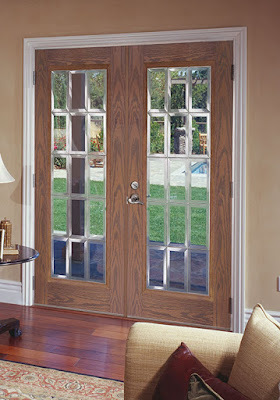 Take a look at a few of our pre-painted fiberglass entry doors - available in both Smooth finish, and oak woodgrain texture. Beautiful, rich color, minus the hassle and mess of painting the door yourself! Pre-finished, hand stained quality finishes! 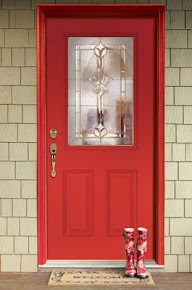 Remember, our Feather River exterior fiberglass doors are offered in a choice of pre-finished, hand stained color options to best match your home's look and feel. Mahogany Woodgrain: Long cherished for its resilience and beauty, mahogany is considered an exotic wood.Feather River Doors designers traveled to the forests of Belize to find the Mara species, and cast several impressions of its unique grain pattern. As a result, you can enjoy a hand stained door with an authentic look of a rare mahogany species in a more sustainable and environmentally friendly fiberglass material.Three finish colors have been selected by our designers to complement and bring warmth to your home. While maintaining the beautiful exotic wood grain of Mahogany, White Mahogany finish provides an excellent alternative to homeowners wanting a painted look. 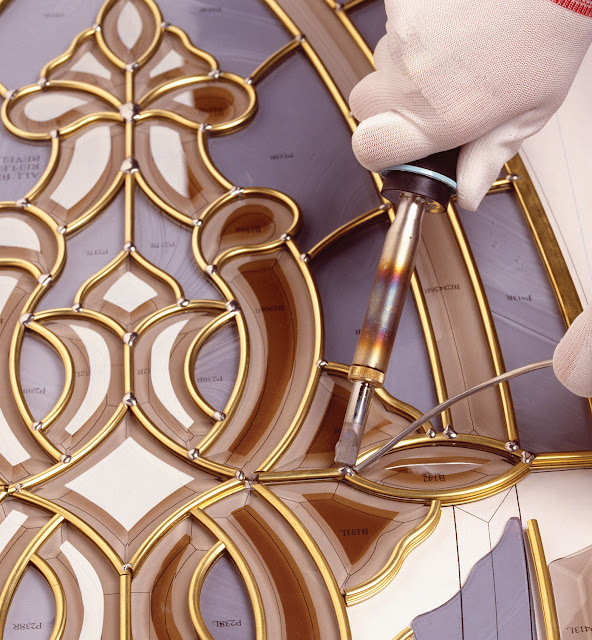 Did you know our decorative glass we use in our doors is hand-crafted? 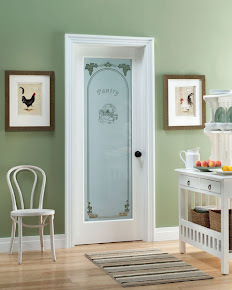 Introducing our new Easy Select Pre-Painted Door Program! Our Easy Select Pre-Painted Program offers you 4 colors for a quicker delivery option, including our BRAND NEW COLOR: Wine Red! Other colors available for the Easy Select Program are: Pure White, Rookwood Shutter Green and Tricorn Black. 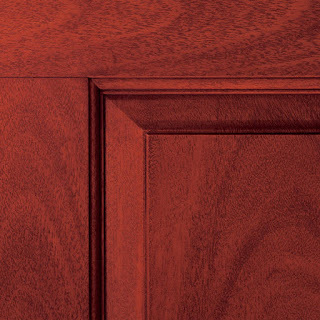 This program is available for select Smooth finish doors. Some examples are below. See details here.